Anteros have announced the release of their debut album and shared a new single. Recorded at The Distillery with Mercury Prize-winning producer Charlie Andrew, 'When We Land' is out on March 1 via Distiller Records and marks the pop newcomers' first full length release following a string of EPs and singles experimenting with dreamy indie pop, gritty electronic rock and shimmering disco. The four-piece have also shared the record's cover art and new single, Ordinary Girl. Written for vocalist Laura Hayden's baby sister, the track dissects the feeling of being knocked down and the fight to move forward in the face of adversity. Check out the artwork and tracklist while streaming the new track, below. The album's announcement comes just ahead of the band's UK tour, which begins next week in Brighton and includes a London show at the Garage. 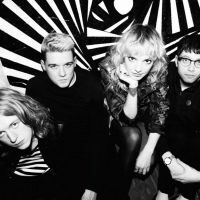 Click here to compare & buy Anteros Tickets at Stereoboard.com. Anteros have announced a UK tour. 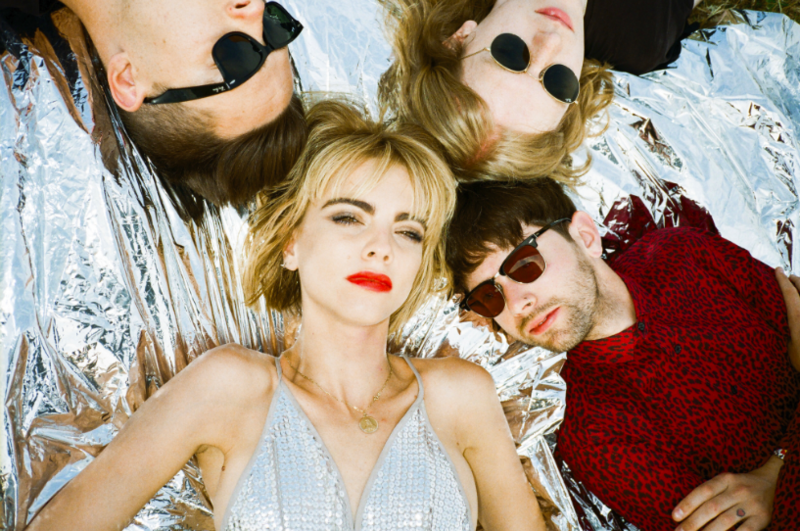 Anteros have shared a video for their new track Fool Moon. Anteros have released a video for Ordinary Girl.